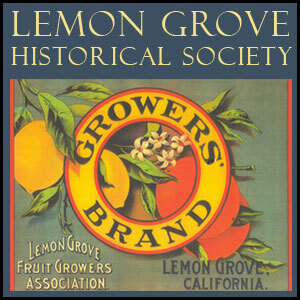 Welcome to the Lemon Grove Historical Society! This is where you can become a new member of our dynamic organization, or renew an existing membership. Members receive a subscription to our quarterly newsletter, The Lemon Tree. Join with us now to support historic preservation, and help us protect the irreplaceable! We now accept membership applications online through PayPal.